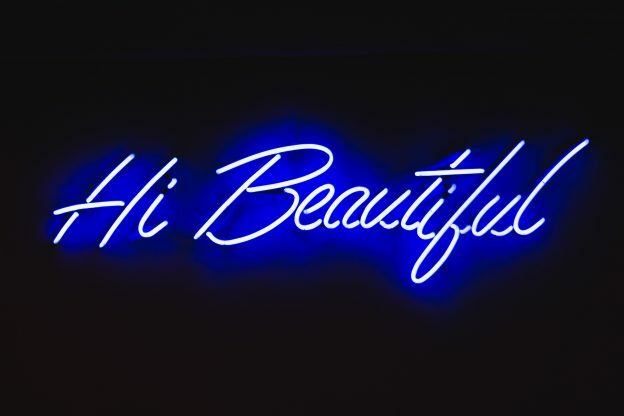 Non-Surgical Aesthetics And Beauty Brands: Copywriting Art Or Science? Beauty in the eye of the beholder starts in the pen of the copywriter – so do you need art or science to make your clinic/brand shine out? As more non-surgical aesthetics clinics and medispas open their doors and more and more beauty products and wellbeing products fight for shelf space, the quest for creating a unique point of difference becomes harder. With strict regulations governing the health and beauty claims you can make, how can you say a product or treatment is a miracle cure to looking young and beautiful again – without actually being able to say it? Twenty years ago, the only choice for turning back the clock lay in cosmetic surgery. Today, the number of cosmetic surgery procedures has dropped by 40% according to The British Association of Aesthetic Plastic Surgeons. The growth market lies in non-surgical aesthetics with lasers, chemical peels, thread lifting and ultrasound treatments becoming as routine maintenance as having your nails done. Confession #1: I’ll be honest: that’s why I’m writing this blog as my expertise in this sector means it’s a growth market for me too. With so many celebs looking 15 years younger and the world of selfies encouraging us to post – and digitally enhance – photos of ourselves looking tiptop, the desire to regain a youthful appearance is greater than ever for many. So, how can a freelance copywriter help shave off those years? Almost 50% of women think about having a non-invasive cosmetic procedure but just under 10% go ahead because they fear trout pout or looking unnatural. The problem is, they are often ill-informed about cosmetic procedures and have misplaced fears. So, how do you stand out as an aesthetic skin clinic or medispa in an ever-competitive marketplace and attract potential patients? A stunning website design is the equivalent of eye-catching beauty packaging on the shelf. The other weapon is to identify what’s unique and different about your offering and create a distinctive tone of voice. That’s where an experienced freelance copywriter comes in. When I wrote my first non-surgical face and skin treatments website for Natura Skin Clinic in 2011, it was quite unusual in the Manchester area for BOTOX® treatments to be performed by a doctor in a non-surgical aesthetics clinic rather than by a beautician or nurse. That was their USP. However much you try to find a unique angle, strict regulations tie you in knots at every angle. A non-surgical aesthetics clinic must be utterly transparent in the claims made to patients to earn trust. I’ve now just worked on a mega project for a leading pharmaceutical company. I clocked up hours reading through clinical papers, pulling out fascinating scientific data to translate into benefit-led points, and spent a day with seven leading aesthetic doctors and dentists to learn about the importance of different injections techniques for HA fillers – all in the cause of identifying key differences and making genuine claims that would get the green light from beady-eyed, scrutinising medical approvers. Confession #2: my face is heading south and if I wanted it to veer north, I would never ever go to a beauty salon. Having learnt what I’ve learnt first-hand, you have to put whatever body part needs treating in the hands of a qualified and knowledgeable aesthetic medical practitioner. Lecture over. Confession #3: I don’t think I could face anything though. I’m far too scared of needles. Open up any magazine and trawl through beauty ads luring you in with promises such as ‘”Major technological breakthrough” … “A cocktail of innovative active ingredients” … “Visibly looking younger skin” … Few beauty products actually make that magical difference, however. The Advertising Standards Authority offers detailed advice as to what and what can’t be said about anti-ageing creams and requires marketers to provide documentary evidence. Sensory claims or those based on consumer perception tests such as “skin feels smoother” or “80% of women thought their skin felt firmer and looked more toned” are seen not to be high risk and fine to substantiate. Claims such as “82% decrease in wrinkles” are not. 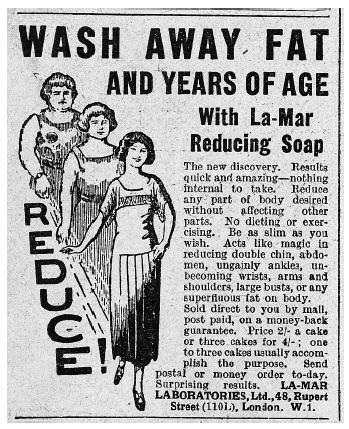 It’s fine to describe a product as “anti-ageing” or “anti-wrinkle” IF the ad says the effects are temporary. 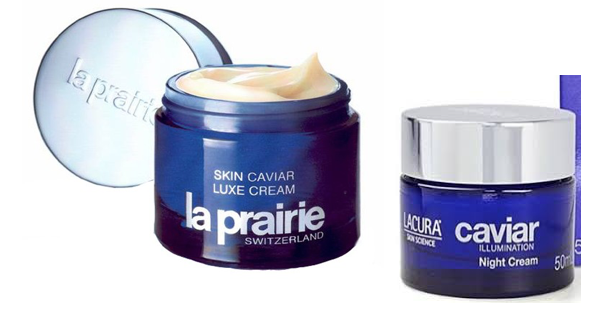 In other words, you can say the cream can reduce the appearance of fine lines and wrinkles but not that it will have an anti-ageing or anti-wrinkle effect. Avon had its knuckles rapped in 2007 for claiming that its Anew face cream was like a facelift in a jar. The ASA ruled that the promises were simply too good to be true. If you want to make a real difference to your skin, go to an experienced aesthetic medical practitioner. If you want to make a difference to your beauty or skin cosmetics clinic, go to an experienced freelance copywriter. I’ve now worked with several non-surgical aesthetics clinics such as the newly launched Cosmetic Skin Clinic, pharma companies such as Allergan and Merz Aesthetics, clinical devices companies such as Lumenis, eye surgery companies such as Optegra and nutritional supplement brands such as Hello Day. So I’m well versed in the potential risk of the Tyndall effect and the role of BDDE in HA fillers, the joys of fat freezing technology, when cataract eye surgery is more suitable than laser eye surgery, and the lengths you can go to with platelet-rich-plasma (PRP) therapy – heard of the Vampire Facelift® (ouch!) or the O-Shot® (eye-watering!!)? Written by Caroline Gibson, freelance copywriter who’s not afraid of a few fine lines – either facially or creatively. This entry was posted in Marketing & branding advice and tagged beauty brands, beauty copywriter, BOTOX, cataract eye surgery, cosmetics copywriter, fat freezing, HA fillers, medical copywriter, non-invasive cosmetics clinic, non-surgical aesthetics clinic on October 9, 2017 by Caroline Gibson.